In this in-depth field review, we are going to have a look at the new Nikon wide-angle DX lens Nikkor 10-20mm f/4.5 – f/5.6 AF-P ED VR, which was launched in June 2017. This lens was announced among two other professional wide-angle lenses (FX Nikkor Fisheye 8-15mm and FX Prime Nikkor 28mm f/1.4). While those bigger brothers raised a lot of expectation for full-frame shooters, the plastic entry level 10-20mm DX lens hardly caused any excitement. In this review I will show that this lens deserves the attention of both amateur and semi-professional photographers. 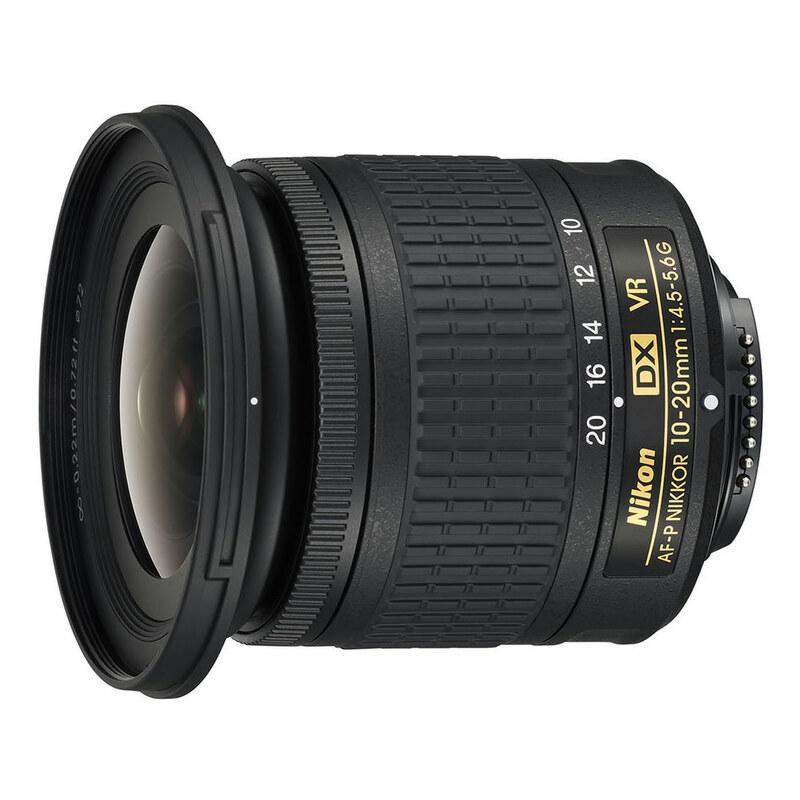 10-20mm is one of the three existing DX lenses featuring the new AF-P abbreviation, along with the Nikkor 18-55mm and the recently reviewed Nikkor 700-300mm tele-zoom lens. In summer 2017, Nikon also launched the first FX AF-P 70-300mm telezoom lens. AF-P stands for a new piece of technology – a pulsing/stepping focusing motor. The new lenses featuring AF-P abbreviation quickly gained good reputation among reviewers and photographers for their fast focusing ability, low weight and yet very good optical performance. Does this formula hold also for the new wide-angle lens? Important notice: the AF-P line is only compatible with the latest Nikon DSLR bodies. It means the number of cameras usable with the lens is limited. I have tested this lens on Nikon DSLR bodies D5300, D7100 and D750 – all worked great, except that with D7100 and D750 I was not able to switch-off the VR function (see more below). I have also tested this lens on my older Nikon DSLR D7000 (featured by Nikon as an incompatible model) and it indeed does not work. 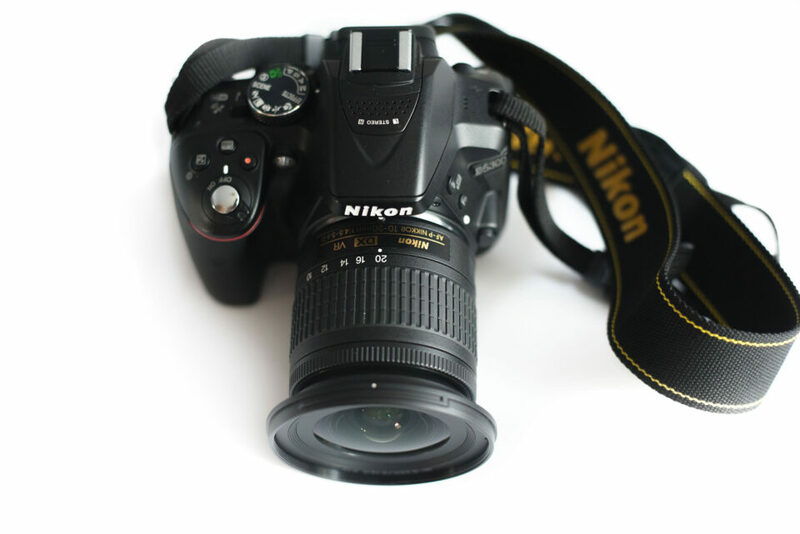 Since the focusing is fully electronic, you cannot even use the manual focusing. The picture in the viewfinder stays blurred all the time, no matter how you turn the focus ring. Stay away from this lens once you have an old body and plan to stick with it. The new Nikon Nikkor 10-20mm is super small and super light. It weights as little as 230 grams! 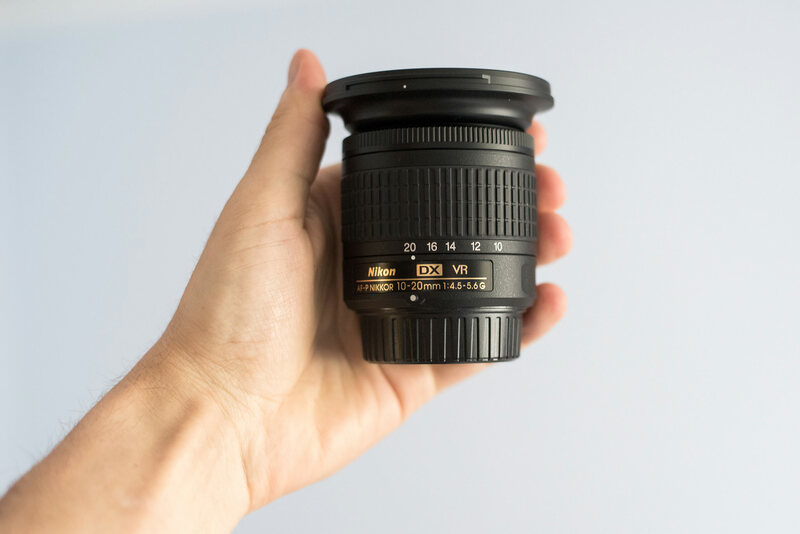 You must get this lens into your own hand to believe it. Seeing it for the first time, I thought this must be rather some CX lens (Nikon 1 mirrorless system) – but no, this is indeed a DX lens (which also works shockingly well on a FX body). Nikon managed to reduce significantly the size in all new AF-P lenses, partly by skipping the AF-A/M, AF-M and VR on/VR off switches. Compared to its main predecessor – the Nikkor 10-24mm AF-S (non-VR lens) – this new little lens features a more limited range of 10-20mm (2x zoom ratio compared to previous 2,4x ratio). In terms of 35mm format equivalent, this corresponds to 15-30mm. I found the previous 2,4x range more practical. But even if 4mm difference on wide angle lenses is noticeable, I can live with such compromise if the benefit is a much reduced weight and size. And that is exactly where this lens shines. As for the missing 4 mm: with ever increasing density of pixels on DSLR cameras, light cropping can make up for shorter zoomed-in focal range. The front 72mm filter thread is by far the largest part of the lens. It moves when zooming by about 10mm. Similarly to the older 10-24mm version, the lens barrel is shortest at about 15mm. When zooming to both ends, it grows in length. The lens is about 73mm long. The rest of the lens body is only about 58mm wide, roughly the same size as the button-retractable kit 18-55mm AF-P lens. Just behind the extended front element, there is a thin manual focusing ring, usable both in the autofocus (AF) and manual focus (MF) mode. For switching those modes, you must use DSLR internal menu, there is no mechanical button/switch. This lens allows you to override autofocus by simply rotating the focus ring – any time. I find this very handy and practical. The zoom ring is wide enough and easy to operate with 10, 12, 14, 16 and 20mm marks signed. Given the limited 2x zoom ration, there is not much of a movement needed to zoom from 10mm to 20mm. The lens unsurprisingly features only a plastic barrel. To me, this is no issue at all. Given how small and light the lens is, a metal barrel would be an overkill. There are 14 elements in 11 groups, including 3 Aspherical elements. How Nikon managed to put all the glass elements including VR reduction into such a tiny body is a puzzle to me. The diaphragm comprises of 7 rounded blades. See what it entails in the chapter on “flare and the front-light handling”. This lens comes with HB-81 Bayonet Lens Hood (included in the price). Compared to the previous DX wide-zoom 10-24mm AF-S G, and the even older DX 12-24mm AF-S G, this new version offers a slower aperture at wide end (f/4.5 instead of f/3.5). 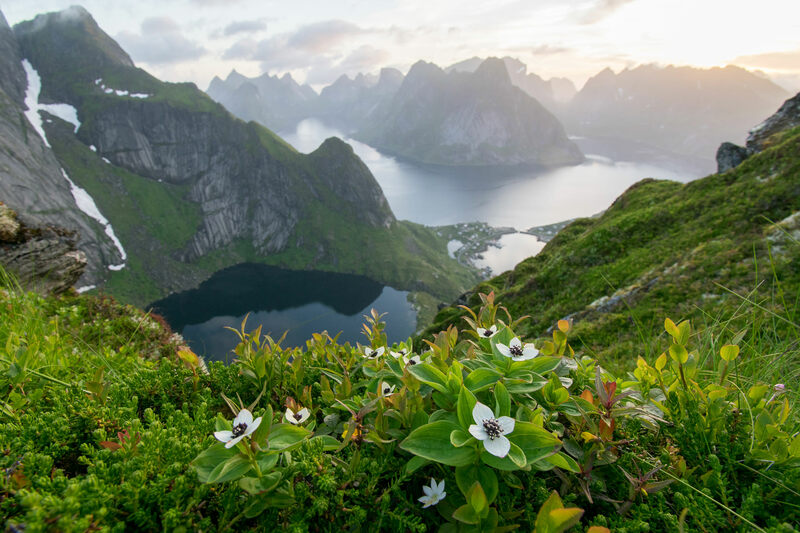 For landscape photography use, this makes barely a difference. The only noticeable difference of 0,7 EV might be in indoor-action photography or astrophotography, but here neither of the DX Nikon lenses will do a great job. This is by no means a weather-sealed lens – you should avoid shooting in heavy rain and in dusty conditions. On the other hand, I was shooting for two weeks in Canary Island where a spell of windy conditions brought a lot of sand from Sahara and I do not observe that any dust/sand would get into the lens. 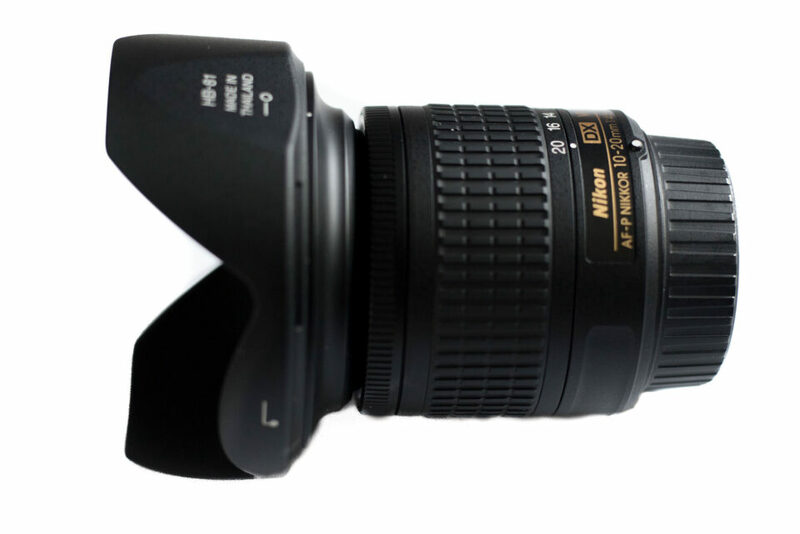 The Nikon 10-20mm AF-P is a lightweight and hence ultra-portable wide-angle-zoom lens. It balances nicely with entry-level crop sensor DSLRs (DX format) such as D3400 or D5600, as well as with the more weighty semi-professional bodies, such as D7500 or D500. Nikon’s “P” series of NIKKOR lenses use stepping motors to “focus smoother and quieter than previous drive systems. This quiet drive system makes the lenses ideal for use when shooting video.” (quotation from Nikon Press-release). Indeed, the real life shooting experience shows that this lens focuses silently, accurately and reliably. In my recent review, I have already praised the DX 70-300 telezoom for the fast and silent focusing capabilities of the new AF-P stepping motor. The wide-angle brother is only tiny bit slower, but unlike in tele range in wide angle focal range speed is not so crucial. This lens focuses roughly 30% faster than the older 10-24mm lens. Focusing in low-light with D5300 was no problem either. Manual override is a good feature to have in case you are shooting in difficult conditions and the lens is hunting. You can then help the lens to “find” the right range and make it snap the focus. But this nothing new, manual override has been featured in most of the recent Nikkkor lenses – except for the cheapest one. The Nikon 10-20mm AF-P allows a maximum magnification of 0.17x at the closest focusing distance of 0.22m, or 0.8 feet. Even though one should only praise Nikon for designing a faster and more silently focusing lens, I realized, however, that in combination with the missing on-the-lens switch, I experienced some frustrating moments. When shooting with the entry level D5300 body, I often had to opt for manual focus (in camera body setting) while making some panoramas. First of all, doing this in camera menu takes longer (do not underestimate how crucial this might be in some moments). What’s more, I repeatedly forgot to re-set the original setting (getting back to normal autofocus) and hence I ended up with a handful of out-of-focus shots. My fault obviously, but I just want to highlight that it Is easier to forget about this with AF-P lenses. Faster and noise-less fousing has also its drawbacks. One can easily lose the previous habit of controlling focus acquisition by short but yet visible and audible refocusing process. The AF-P lenses are different in this aspect and you do not really notice when it actually acquired the right focus the way it did with the older lenses. So just pay attention to other indicators (such as allowed camera beep, or circular control in the viewfinder). Anyway, if I could, I wish I had the version with both AF-S / AF-M switch.